Station wagons have a staid reputation. Their popularity here has plummeted in recent years as SUVs have taken over as the vehicle of choice for families. In Europe, however they’re as popular as ever. So European carmakers keep pushing the envelope when it comes to what is possible with this traditionally conservative car. 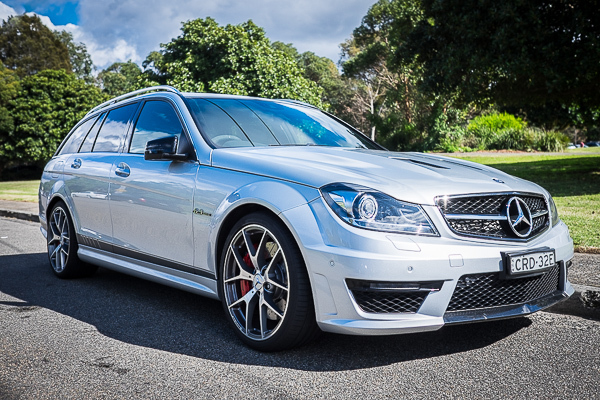 Enter the Mercedes-Benz AMG C63 Estate. We were lucky enough to try the most recent (and some would say ultimate) version of this amazing car – the limited edition ‘507’. For those who like numbers, the 6.2 litre V8 in the 507 delivers, you guessed it – 507 horsepower (373kW) and 610NM of torque. This lets the car rocket from 0-100km/h in 4.3 seconds (all while being able to carry five people comfortably). However the numbers alone don’t convey the visceral experience this car gives the driver. Much has been written about the engine in the C63 and for good reason. It sounds and feels incredible. It’s like having a caged tiger pacing in front of you waiting to be let out. And when you do let it out, all sorts of noises erupt – growls, bangs and pops. This is not a discreet car. But is it a smart one. Putting the car in Comfort mode lets you pretend to be driving a normal Mercedes station wagon (if you ignore the bonnet scoops and giant red brake callipers that look like they could stop an aircraft carrier). You can drive to the supermarket with three children and a carseat and fill up the 485 litre boot with shopping (as we did) and not even realise you’re driving a car that’s faster than a Porsche 911. The interior is what you’d expect from a car in this class – lots of leather and the most comfortable front seat of any car I’ve ever driven, period. The car is surprisingly light on gadgets, the makers preferring to focus on performance. 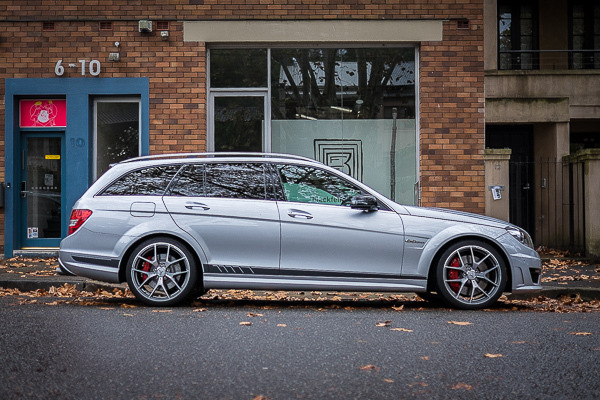 The C63 Estate will gets an all-new turbocharged (but smaller) engine when it arrives in Australia later this year, so in some ways, the 507 really is the last hurrah. For me it’s the ultimate family car.